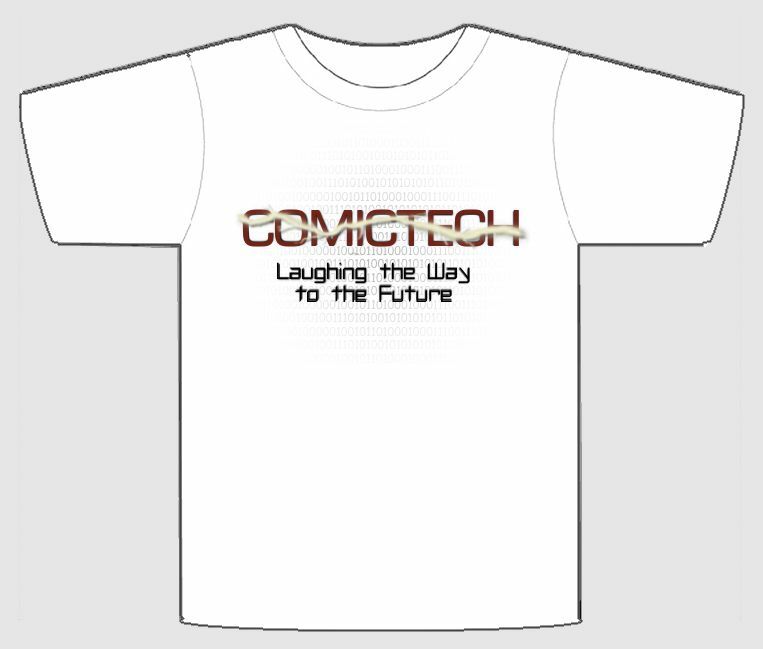 I thought it might be cool if cemetech had shirts that you could order. I'm wondering if they would be possible. If you would want one, or have an idea for the shirt design, please tell. One of our members was photographed in a calculator shirt here on this forum a few weeks ago - it looked cool. I am too old to look cool in most things but happily wise enough not to care. There is a great Pacman T shirt out there which shows a screenshot of the famous kill screen. Only people who understand 8 bit processors and have reached over level 256 would know. I've never reached over level 256 personally, but I know about the kill screen and have seen it. And I bet there are people who don't understand 8 bit processors who know. And I bet there are people who have never reached that level and don't understand 8 bit processors who know (like my brother). Anytime you think "only X type of person will get this", you're probably wrong and just making yourself sound like a tool. He also has a neat calculator t-shirt. I'm not a massive fan of T-shirts but if we come up with some cool designs I'd happily have one in my closet. I think just a simple tee with the logo--or even a polo--would be quite nice. i allready have a maroon polo, and the logo has maroon in it, so maybe it should be an ash colored polo with a small logo somewhere on it? I've toyed with polo and tee shirt designs in the past, but the real sticky wicket towards actually going forward with the shirts was finding a good place to have them made. We have a Cafepress store, but I haven't updated those items in about a decade. I also looked at Vistaprint, but I realized they're essentially a scam. I'd totally rock something like this. Red Shirt, yellow text? Yellow shirt red text? But I have some ideas in my head. I'll draft them up this weekend. Great, can't wait to see what you come up with! The ultimate Cemetech polo shirt would use embroidery instead of screenprinting for long-lasting quality, but that's even more expensive. Wow shirts?! I agree with the embroidery, quality is one of Cemetech's core values so it only seems fitting. My ideal polo in this case would be one that you can get in any color, with just a very small, embroidered Cemetech logo (think where the animals usually are on fancy-pants polos), with nothing on the back. For a T-Shirt I'd want it basically the same, but screen-printed with a bigger logo on the back saying "Leading the way to the Future". I priced them out; for a three-color, 5"x0.75" logo on a grey short-sleeved polo shirt, a medium would be $45.58 (and the minimum order is 6). That's pretty steep. For a polo shirt....use our favicon lightning-bolted C, rather than the whole logo. Like shaun said, about where the animal usually would be. That would make it the right size too. Society6 also does t-shirts, but not embroidery. I'm considering making a t-shirt titled: 'The Cemetech Guide to Awesomizing Your Graphing Calculator' Ill share the link when I finish. I second shaun and elfprince's idea about just using the small lightning-bolt + C where the animal is. If not that, then just having "Cemetech" in red without anything else, and still in the animal spot. Teespring are good in my understanding, and in my experience Zazzle have good quality screen prints (much better than cafepress). Neither of them offer embroidery, though. I think a shirt would be cool with this on the front. It would probably be a red t-shirt with this on the front and something cool on the back. Zazzle looks pretty solid; thanks, Tari. Their second-cheapest shirts are somewhere between $20 and $24 for various colors, and I see they have a 15% off Labor Day sale. Eh, way too ostentatious; I'd much prefer something more subtle. There are 208 users online: 3 members and 205 guests. © Copyright 2000-2019 Cemetech & Christopher Mitchell :: Page Execution Time: 0.215108 seconds.